The Flawless Vape Aftermath comes with the flavor of a glazed donut and pieces of blueberries in a huge 60mL bottle. The Flawless Vape Aftermath 60mL electronic cigarette is quite amazing. It comes from the e-liquid brand that is currently known as Flawless Vape. These people are quite prestigious because they use the finest U.S.P grade ingredients and put tons of testing into their different flavors. The Aftermath is one of their most interesting available flavors, coming in a very tasty dessert fashion. 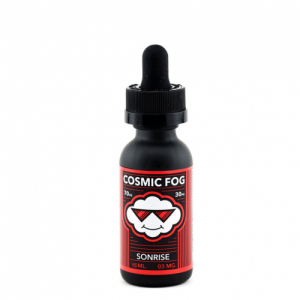 The vape juice mixes the tastes of a creamy glazed donut and a bit of blueberry on top. The donut flavor that exists tastes as if it were a real donut and is still fresh after being made at home. The blueberries are a nice little accent that gives the juice a richer flavor. These two ingredients have been put together in a way that is most beneficial to you. You’ll never feel overwhelmed or get tired of the taste of this amazing dessert flavor. This flavor is so sweet and juicy, you’ll never get enough. Your taste buds will love the taste of it to the point where low-quality e-liquids will be no good anymore. Your sweet tooth will also be quite satisfied because it’ll feel like you just ate some donuts and blueberries. The ingredients are also some of the best so you’ll get one of the best possible experiences. 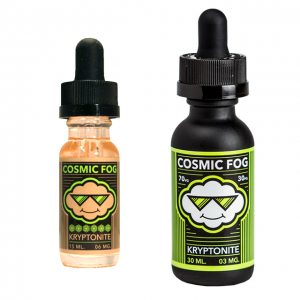 It comes in a 60mL bottle so that you can buy it once and vape for quite a while. This amount of juice might last for over a month before you run out, even after regular vaping. This flavor is quite high-quality and tasty. It’s definitely worth a try for everyone who likes to blow those huge clouds. Just get your favorite vape device, put some of the Aftermath juice in the vape tank and enjoy one of the best flavors on the market.